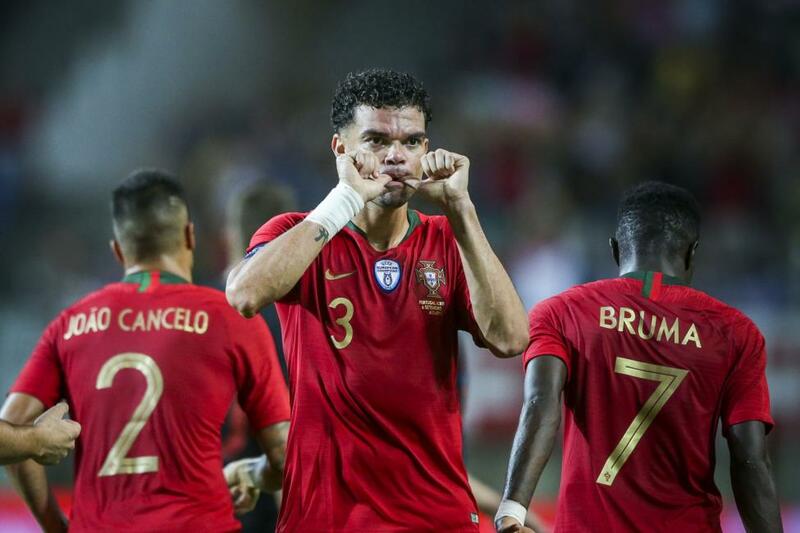 Portuguese defender Pepe netted the equalizer against Croatia with a header in the 32nd minute of a 1-1 draw during his 100th appearance for Portugal. Ivan Perisic started the scoring, beating Portugal keeper Rui Patricio in the 18th minute. That ball bounced around the box several times before falling to Perisic on the left side. He crushed a right-footed volley into the near post netting, beating Patricio to the spot. Portugal's Pizzi served up the equalizer for the veteran defender 14 minutes later. Pizzi had possession of the ball outside the box before he chipped in a cross. Pepe jumped and headed the ball into the near post netting while Croatia's Lovre Kalinic could only look on. "Pepe played his 100th game for Portugal," the team posted on Facebook. "He just seems to get better and better!" Portugal battles Scotland in another friendly on Oct. 14 at Hampden Park in Glasgow, Scotland. Croatia faces Jordan in a friendly on Oct. 15 at Stadion HNK Rijeka in Rijeka, Croatia. "For me all the selection games are important," Pepe said. "The team went well, plenty of young players trying to prove their worth. It is good to raise the competitive level within the selection. We are all to be congratulated."